Scientists can now skip the costly water purification part of the process. A chemical reaction you learned about in middle school could help solve the energy crisis. Running an electrical current through water splits it into oxygen and hydrogen, the latter of which can be used as a reliable, zero-emission fuel source. 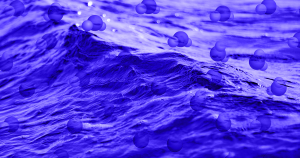 In the past, the process of purifying water beforehand was too energy intensive for this process to be useful — but now scientists have figured out how to skip the process altogether and convert seawater into usable hydrogen, according to research published in the journal PNAS. Generating hydrogen fuel from freshwater sources would put too great a strain on everyone else who needs that water, argue the scientists from Stanford University and the Beijing University of Chemical Technology. That’s especially true as climate change could soon worsen droughts around the world. So instead, the scientists developed a new metal coating for the electrodes used in the experiment that would let them withstand the chemical reaction as it occurs in saltwater. Because an electrical charge is necessary to actually split the water into hydrogen and oxygen, the scientists tried to make their apparatus as environmentally friendly as possible and powered it with solar cells. Hydrogen fuel cells could power the sub or the diver’s gear, while the oxygen generated from the chemical reaction could keep them stocked up with breathable air. But any practical applications are still far off in the future, as this new research simply demonstrates that the technology could work at all. More on hydrogen: Cheap Hydrogen Fuel Was A Failed Promise. But Its Time May Have Arrived.